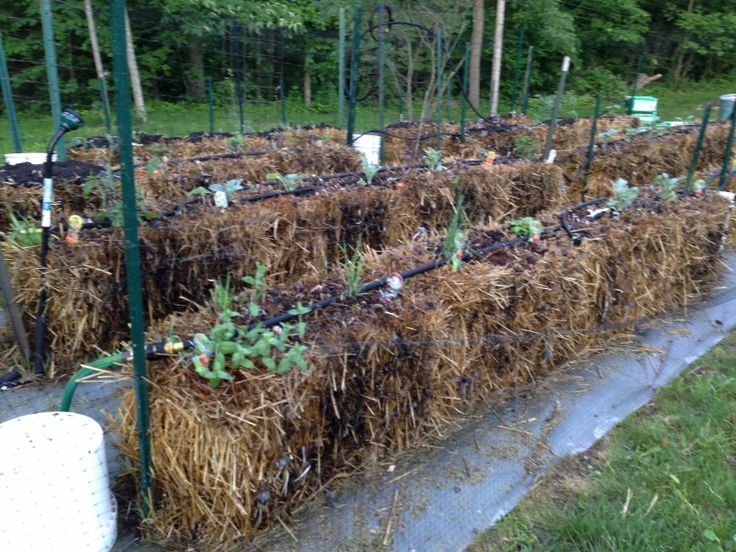 So your plan is to water your Straw Bale Garden by hand every day this summer! I applaud your enthusiasm, but reality will soon set in and you’ll discover that despite the best of intentions it isn’t very practical. Using a soaker hose, which is essentially a hose with thousands of tiny pin pricks in it to allow water to leak out along the entire length of the hose, works well, as does a dripper style hose with an emitter ever few inches to regulate the water dosed out per hour to each surrounding plant. Simply run one length of hose down the center of each row of bales, jumping from one row to the next, being careful not to extend too far as the pressure may mean the water stops dripping after about 35-40’. The real magic of this watering system is the automated hose end timer. The inventor should be lauded as the “lazy gardeners” greatest ally, in that it allows one to truly, “set it, and forget it!” Like an alarm clock the user simply programs it to “wake-up” the garden hose at 4:00 a.m. and run for 8 or 11 minutes (one minute per bale in the garden is a good time frame to start with) and then allows a selection of days of the week or daily interludes between watering. 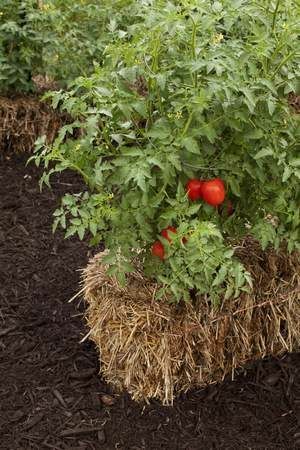 In the spring and fall, when water demands are low, the timer can be set to disburse water only every two or three days, while in mid-summer when the tomatoes are using 3-4 gallons per day, the water could go off once or twice every day. This method uses no more water than a traditional soil garden, but certainly allows more regular watering. Vegetables love consistency in moisture, they do not like to be very dry and then very wet, but tend to produce the most when the roots are consistently moist. Keep the foliage dry, this will help to prevent both insect and disease issues in a vegetable garden. Insects and disease thrive on wet leaves, and most gardens watered with traditional overhead sprinklers encourage the growth and spread of both because it is impossible to water the roots without hitting the shoots. 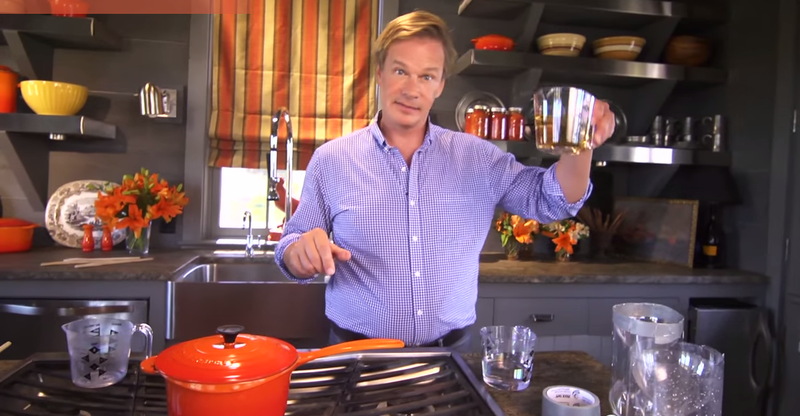 Keep that foliage dry and it will make a world of difference in how many insect and disease threats the garden will face during the growing season. We get to visit Joel’s garden on a regular basis. He has a really slick system he developed. 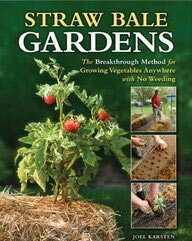 Of course his book, Straw Bale Gardens, is a wealth of information on this popular method of gardening and has many more great ideas. There’s a reason this book made the New York Times best seller list. Buy Straw Bale Gardens now.